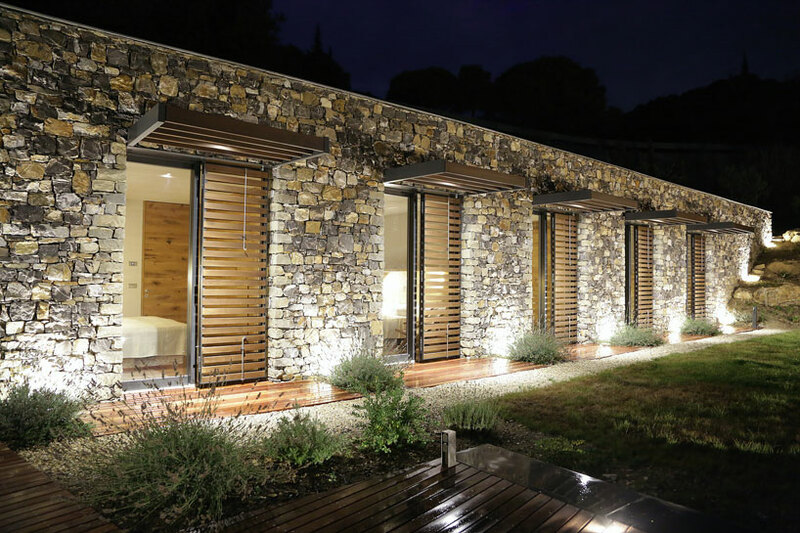 Using Natural stone, Overlooking the ocean in the coast of Italy, ‘villa N’ is a single family retreat completed by Giordano Hadamik architects / GHA. nestled on the verdant hills of Liguria, the design of the villa explores the typical material, terrace, and openings seen in the local buildings. 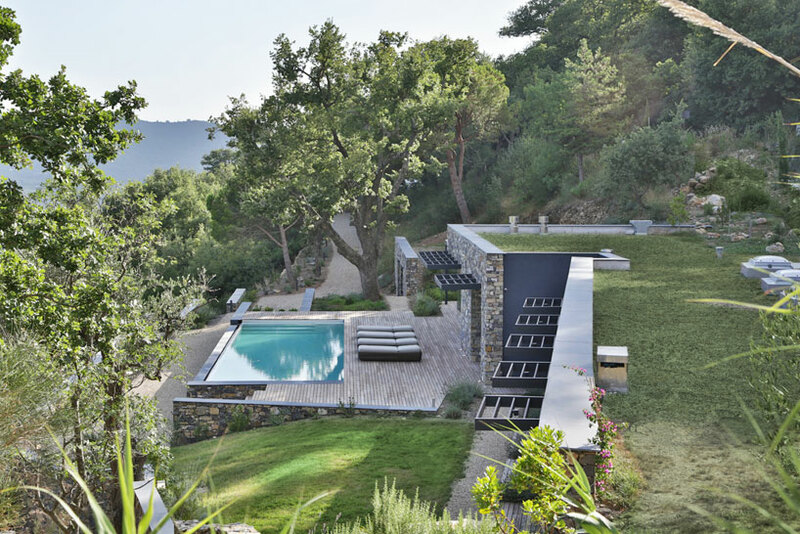 The villa is composed of two half subterranean volumes arranged on a single floor. 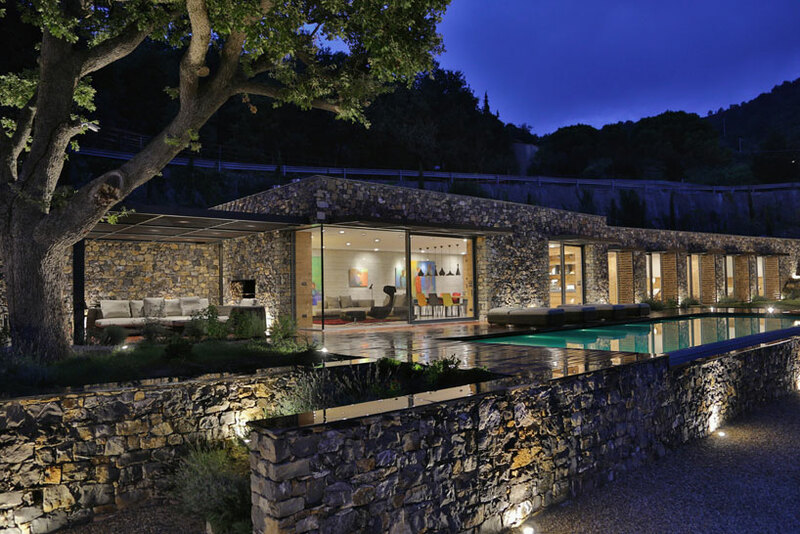 The windows play a key role in the project maximizing views and light. large openings create an effect of continuity between inside and outside. 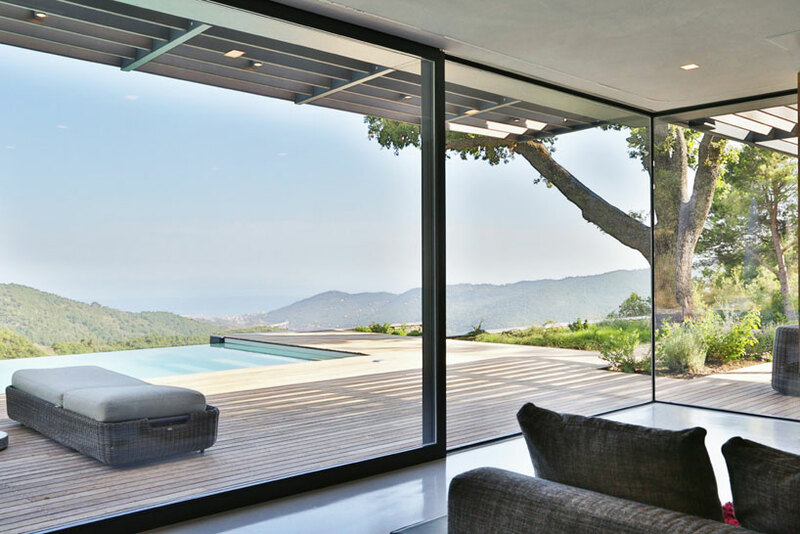 the sun deck in front of the living room opens up to an infinity pool overlooking the valley. additionally, the green roof contributes to the harmonic insertion into the landscape and minimizes the visual impact. 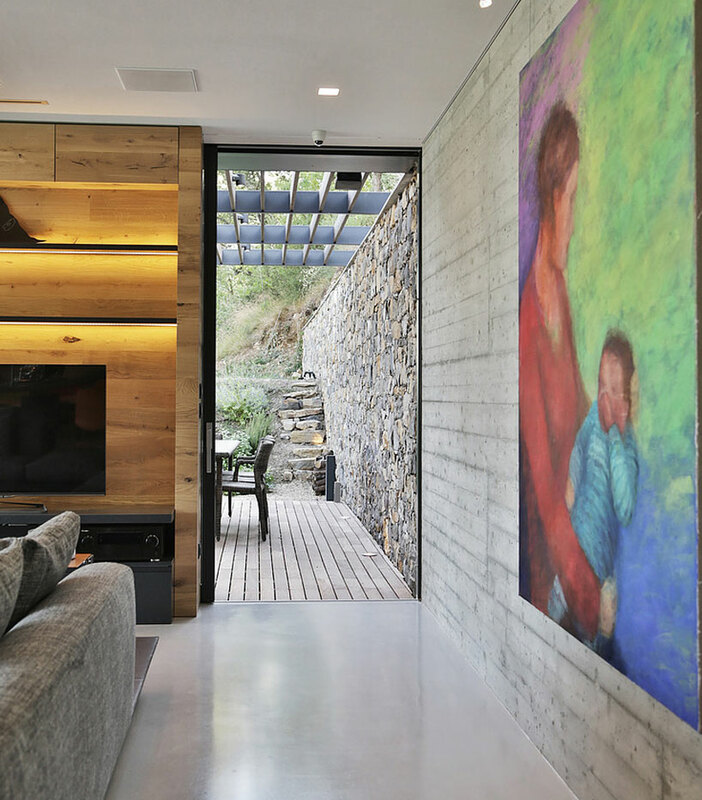 Natural materials throughout the interiors – stone, wood, concrete, and gypsum plaster – work together to bring a sense of warmth into space. the furniture itself is bespoke and created by GHA; modular systems maximize area and efficiency. The development of the scheme relied on incorporating principles of sustainability. the isolated subterranean shelf uses solar and renewable systmes to reduce the energy consumption to obtain Passivhaus standards. meanwhile, the structure re-used natural stone obtained from the excavation for the facade cladding.